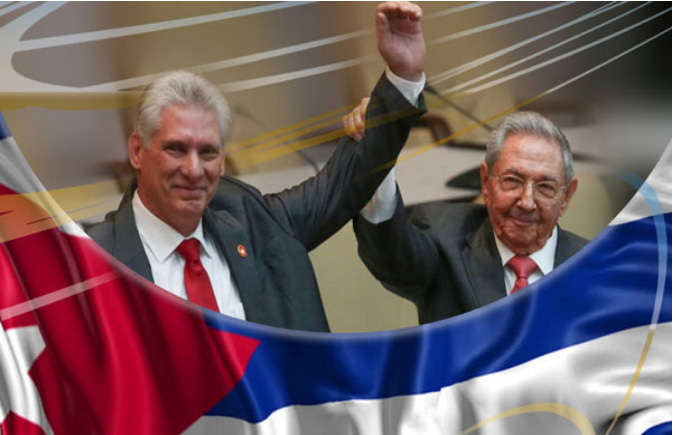 New Cuba President Miguel Díaz-Canel Comes to the U.S.
On Monday, September 17, there will be a live broadcast from Radio Havana, from 10 am (EDT) to 12 noon, a Twitter Storm and online forum, “The World Against The Blockade” that can be followed on Facebook and Twitter @Siempreconcuba. More info here. From Monday, September 24, through Friday, September 28, a week-long series of Days of Action Against the Blockade will take place in Washington, DC featuring congressional visits, rallies, movies, and other events. There is more info on the pages of its main co-sponsors, The International Committee and the Institute for Policy Studies. On Wednesday, September 26 at 8:00 at Riverside Church in New York City a special program will welcome new Cuban President Miguel Díaz-Canel leading a delegation to the opening of the 73rd session of the UN General Assembly. The publicity/outreach for the special program here; Díaz-Canel’s speeches of the day here. More info about these films is available at www.bliff.org. Friday-Sunday, October 19-21, National Network on Cuba Annual Conference, Minneapolis, Augsburg University – notes and photos available here. December 12-21, “Sustaining Food and Farming in Cuba,” Witness for Peace delegation, registration extended — more info here.